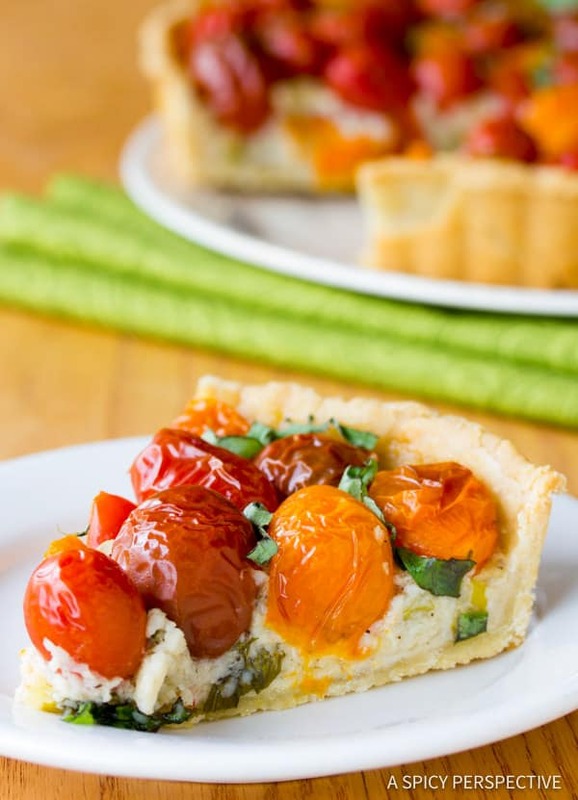 Vibrant Fresh Tomato Tart with a creamy cheese base and buttery crust. 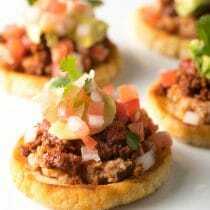 A great way to eat your summer tomatoes! As a mom, it’s a little scary to raise a daughter in a culture that puts such a huge emphasis on looks. It makes my stomach lurch to think of Ava’s bright-eyed, youthful confidence being stripped away at some point, by our society’s ridiculous vain addiction. I don’t know one single woman who doesn’t occasionally struggle with insecurities about her appearance. Some are so burdened by insecurity, you can physically see it… They were it like a cloak. It’s in how they dress, or carry themselves. It’s in the kind of relationships they choose, or how they speak about themselves and others. A small fearful part of me hopes my daughter turns out to be fabulously gorgeous, dreaming her adolescent years will be easier. But the more prominent wiser side of me desires her to be a late bloomer, or even just slightly above average in appearance. To me, this assures she will likely develop depth and character earlier in life. Is that terrible for a mother to say? Most of us have had an experience with a friend (or maybe someone we were once attracted to), who was the epitome of beauty, but had obviously gotten by on appearance their whole life. They never had to take the time to become more. The result: an empty, shallow person in a pretty package. It’s a true pity. Think of who those people could have been if they hadn’t been so highly praised for their external beauty all their lives. I want her to discover who she really is, and the sooner the better! I want her to develop her gifts, and characteristics of sincerity, self-discipline, perseverance and humility. I even want her to go through some hard times, so she’ll learn to rise above them… I’m getting teary writing this. Believe it or not, all this comes from pondering over a fresh tomato tart. I learned to make traditional tomato pies shortly after moving to the South. Fresh tomato pies are delicious and comforting, but not that pretty. Several years ago I found an alluring photo of a fresh tomato tart in a magazine and had to see how it compared to the humble southern tomato pie. The photo in the magazine, as I said, was wonderfully impressive. Yet upon tasting it, we discovered the flavor was quite disappointing. Mediocre at best. The crust was a disaster, and the filling low on the flavor scale. I was suddenly struck by the fact that I had been so eager to discard my old reliable tomato pie for this prettied-up version. Clearly, never judge a book by it’s cover. Beauty is often deceiving. Also, a personal quote…You are only as pretty as you taste. I’m going to teach that to my daughter some day. instead of a pie pan. I don’t know why, but tarts just seem classier. Let’s not get confused here, the old-fashion tomato pie was far superior in taste and texture to the magazine tart and really needed no revision. I just like to change things up. This updated fresh tomato tart is truly beautiful inside and out, with astounding southern comfort and wilted tomatoes covering the top! 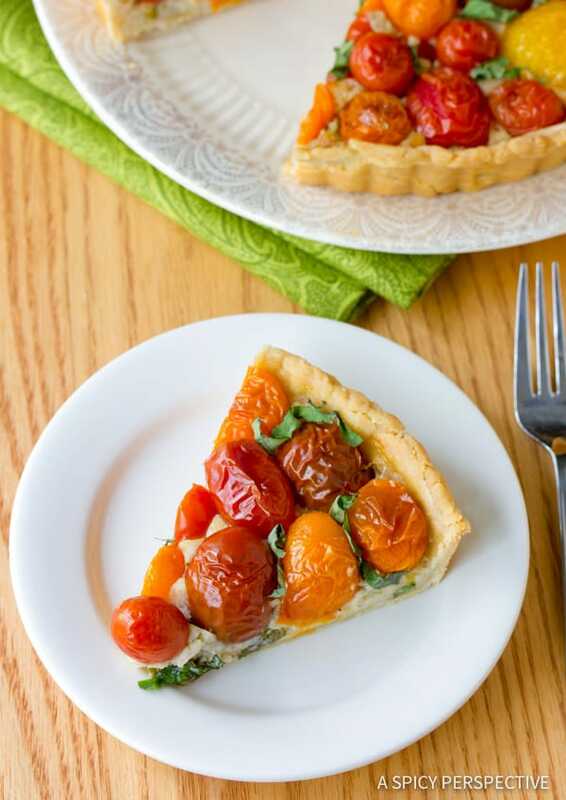 Vibrant Fresh Tomato Tart with a creamy cheesy base and buttery crust. 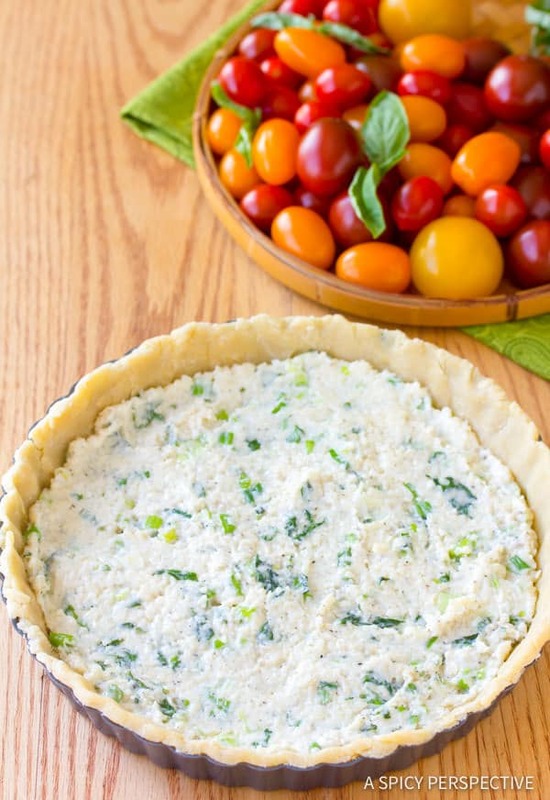 This spin on the classic southern tomato pie is a winner in taste and visual appeal! 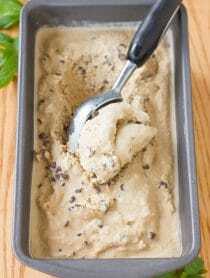 For the Crust: Preheat oven to 375 degrees F. In a food processor, combine the flour, cornstarch , butter, and salt. Pulse the mixture until it forms very tiny bits. Add one egg and pulse until a dough forms. This dough is rather tough, but it does come together nicely. Gather the dough into a ball. Then press the dough in to the 9 inch tart pan, covering every bit. (You can roll the dough out to a 12-inch circle, if you want.) Crimp the edges, and refrigerate for 30 minutes. Roughly chop 1/4 cup of the basil leaves. Stack and roll the remaining basil leaves and cut them into thin ribbons. Save the ribbons for the end. 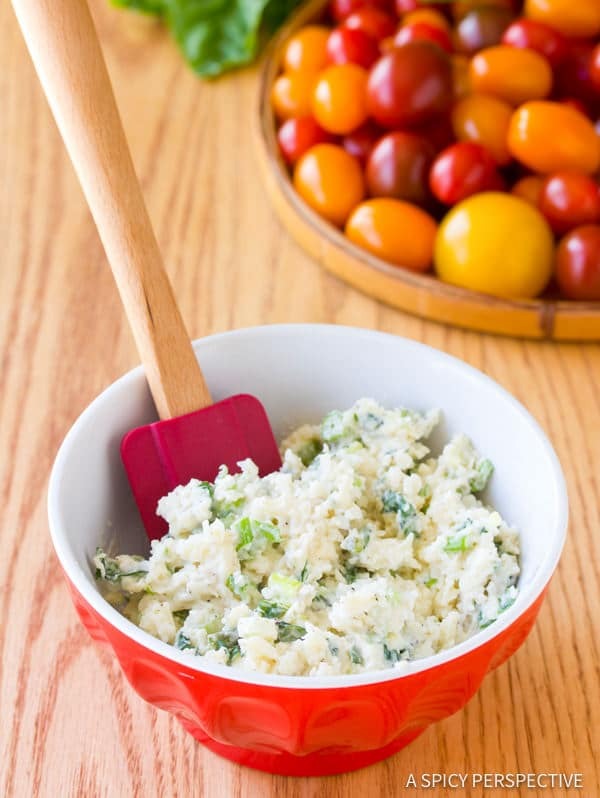 Mix the cheese, mayo, chopped basil, green onions and pepper in a bowl. Spread the mixture over the bottom of the tart shell. Top with grape tomatoes and press them down. Bake for 35 minutes—until the crust edges are golden-brown and the cheese is bubbling up. Cool for 10 minutes, then sprinkle with 1/4 cup sliced basil ribbons. Serve warm. Serves 6-8. Its fantastic sharing and i like it. I had a million cherry tomatoes to use up from my parents garden, so I decided to give this a try. My entire family was skeptical, except me….I thought it was gorgeous! My 12 year old son was already negotiating with me, but to my great surprise, every single one of us loved it. My daughter said it tasted like something from a fancy restaurant and claimed that she would get all the leftovers. 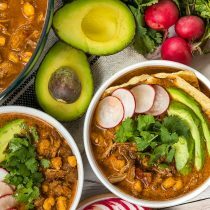 Not only beautiful, but delicious! My one question….did you bake the crust before filling it or did you fill it raw? I’m so glad you liked it!! I fill it raw and bake it all together. Did yours not bake all the way through on the bottom? If that is the case, you might want to place it on the lower rack so the bottom of the crust is closer to the heat source. 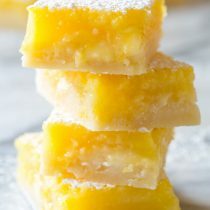 What a great recipe! 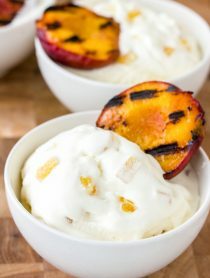 Looks like such a great snack! I made this tart last evening. We are harvesting lots of grape tomatoes at this time This was perfect to make The recipe turned out wonderful and delicious I used Fontina cheese as I couldn’t find the sharp provolone. Can’t wait to make this for company and hear all the ahh’s Thanks for this one! Just made your wonderful tart and the family loved it! I used a mixture of ricotta and mozzarella. It was wonderful! My daughter is 15 months and I am already stressing. How to be protective yet let her live her own experiences to learn and grow. This tart looks beautiful. I love the season of abundant fresh tomatoes. Eye candy is good with food but taste always wins for me. 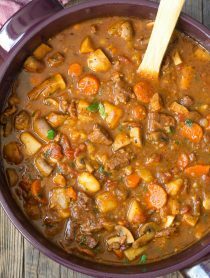 Some of my favorite recipes are not so pretty. It is a true find when they are both pretty and delicious. Let me tell you what….it sickens me too. I have worked very hard from the time my girls were little to talk more about character, never to mention their body in a negative way. My oldest daughter went through quite an awkward chubby phase, but now she is 5’11” , slim, with an athletic build. My oldest is naturally confident, my younger daughter is not so helping her get past the superficialness of our society has been more challenging. I would say for sure, as a mom the first rule is that we be very careful how we talk about ourselves. Don’t spend too much time worrying, talking, preparing. We shouldn’t ever put ourselves down, because our kids see us as a mirror whether consciously or subconsciously….they think thats what I’m going to look like, be like when I get older. So as adults we need to strive to have a psychologically healthy view of ourselves. One friend of my daughters from early on was so obsessed with her body working out “getting abs” , well it took only a couple conversations with her mom to realize how low the moms confidence level was, and how much time and effort she put into her outer appearance, to this day it makes me sad, because this woman cannot get past her looks and see if she only worked a bit on her insides it would shine through to her outsides!! Side note on the daughter, she is also very obsessed with outer appearances, my daughter is still friends with her it has been interesting see how are different parenting has shaped these two girls. Not that I have done everything right and she wrong….just different. Heres the clincher, we send them to school and rt away there are little girls who are already making statements about looks, body types, and what kids are wearing. It doesn’t start in High School, by then kids are already pigeoned holed into groups. I thought it was hard when we were young, now all this media, has pushed it over the top!! Hang in there, you are a naturally beautiful, confident woman and that is what your girl with mirror. Don’t stop praying. pray pray pray, pray more, worry less!! I love your use of whole tomatoes in this recipe. Although heirloom tomatoes are beautiful they are only tomatoes. They can be just as mealy, unripe or rotten inside as any other tomato. I know there are parents that worry that their children will too much emphasis on these things. I think that the only children that fall into this are the children whose parents turn a blind eye to it. Children may go through phases but ultimately come full circle and end up with the values that their parents instilled upon them. So I would say don't worry too much about it. Society's influence won't often go deeper than the influence of a parent that cares. If you are smart enough to teach your children then you should certainly have faith that your children are smart enough to learn. They are both simply stunning! I vividly remember my adolescent years. Terrible acnee made me miserable but it also gave me the strength in character to get through it all. Mom stood my me the whole time. I like the idea of using cherry tomatoes, they definetly make the whole look very fancy! And I also want to try the mixture you put on the bottom. I only sprend on some mustard, it's simple but very good. I just discovered your blog and I think I really going to enjoy reading you! I also loved the picture in F&W, but will be making your tart when I get the chance! It looks fabulous!!! For a deep thought about your future dreams for your daughter, the tomato tart certainly speaks out quite a lot about your feelings about it. But then you need that person to have the capacity to understand- some people just don't get it no matter how many times they fall. I guess all we could do is hope and pray for the best. Again, Summer beauties on the tart shells there. I love it! great post, I have two girls and I also worry that they will get sucked into this "beauty" world that we live in, raising kids is hard, I spend a lot of nights praying and worrying but they are a complete joy and I'm sure our daughters will turn out fine…love the tarts I love both pics, but I would go with your recommendation..taste before beauty!! SHARP Provolone is my first choice. It's not mild like regular provolone, but has an intense twang–somewhere between that of extra sharp cheddar and blue cheese. The fontina is another nice choice with it's salty nuttiness. Go with the fontina if you don't LOVE super sharp cheeses! I enjoyed reading this and yes, you are only as pretty as you taste. Love that. I intend to make this tomato pie very soon. My only question is if I should go with provolone or fontina cheese. Gorgeous tarts!! Oooh I can taste the sweet little tomatoes right now. Dear Sommer – I really needed to see this today. I know exactly what you mean about the book being prettier on the cover than in reality but PLEASE take heart in the fact that the colors are…oh! 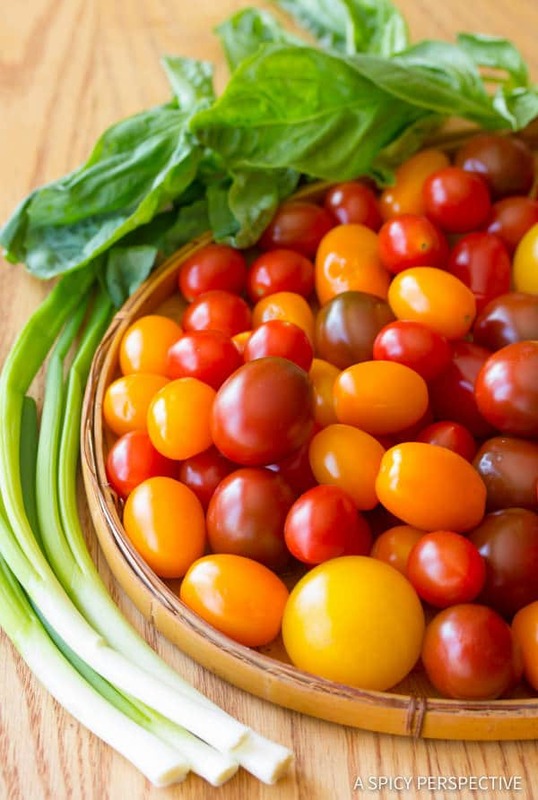 don't get me started about the colors – the chocolate tomatoes, the yellow tomatoes…WOW! I really enjoyed this post Sommer but I KNOW how heartbreaking it is when after all the effort it turns out mediocre. I love to cook, but the aesthetics of food are not my strongest suit. 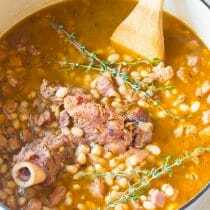 I often find myself with finished products that taste good but just don't quite look the way I envisioned them in the glossy magazine page of my brain. It is times like those that I fall back on some choice words of wisdom from my father which have proved invaluable over the years: "oh well, it will look a lot worse when it gets where it's going." Both of those tomato tarts look wonderful, and your daughter is lucky to have a mother like you. I haven't tried any F&W recipes, but I can imagine that it's disappointing when their recipe doesn't turn out well. I absolutely love tarts and this one looks amazing. I like that the tomatoes are kept whole for this recipe. Also, you photos are wonderful. Wow, this tart looks unbelievable! I can definitely see the difference between the two crusts. 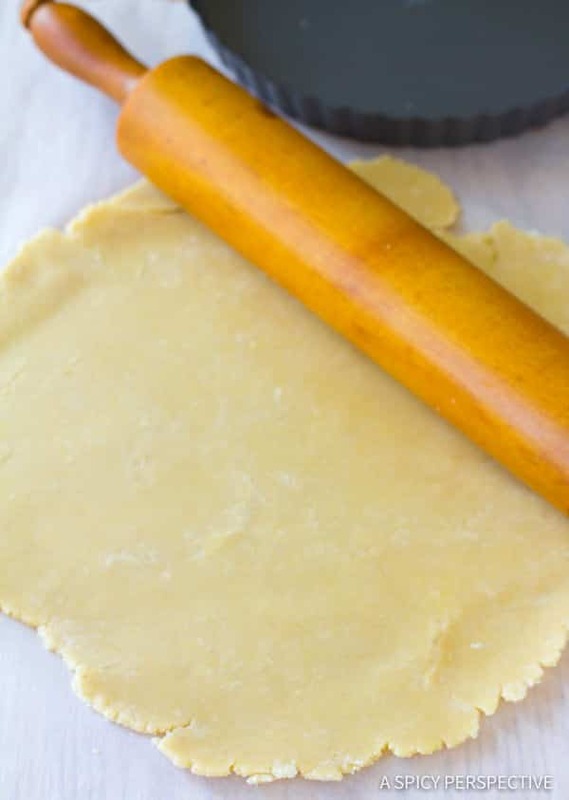 Pie/tart crusts are tricky to perfect but almost all the time, they wind up tasting great no matter what! Both of the tarts look beautiful. 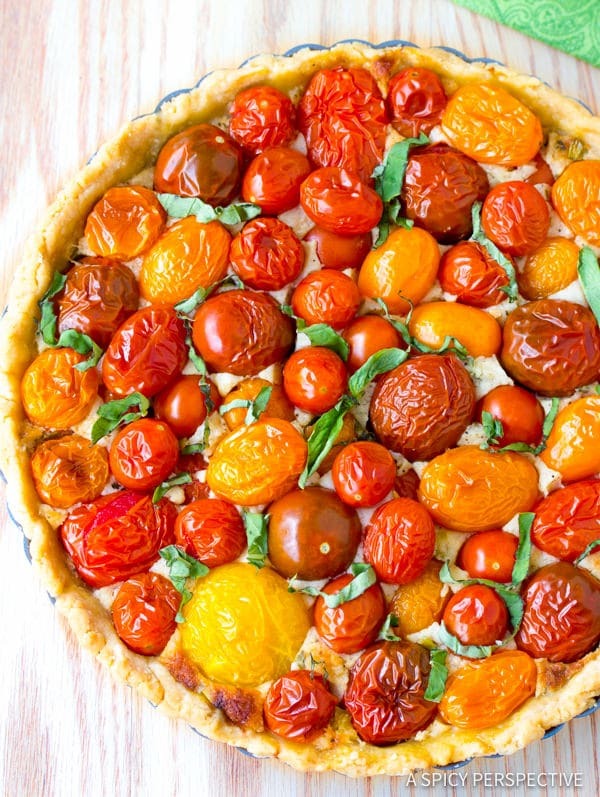 I've never had a tomato tart, so I'm putting this on my to make list. thanks a lot for you answer; i was just wondering :)) have a good day! Thanks for all the encouragement. Parenting is HARD, but I say a prayer and do the best I can! Beautiful photographs! And, you know, in a way, I'm glad the little tomatoes (we call them cherry tomatoes here) taste better than the heirloom ones because I haven't seen any heirloom tomatoes on sale! Yes, I added RAW grape tomatoes. They retain all juices inside the skin and it only comes out when you bite it! With my old tomato pie recipe, I used to chop, salt and strain the tomatoes for 20-30 minutes to remove a lot of the juices. Using grape tomatoes makes that step unnecessary! They both look beautiful, great job! Hello! 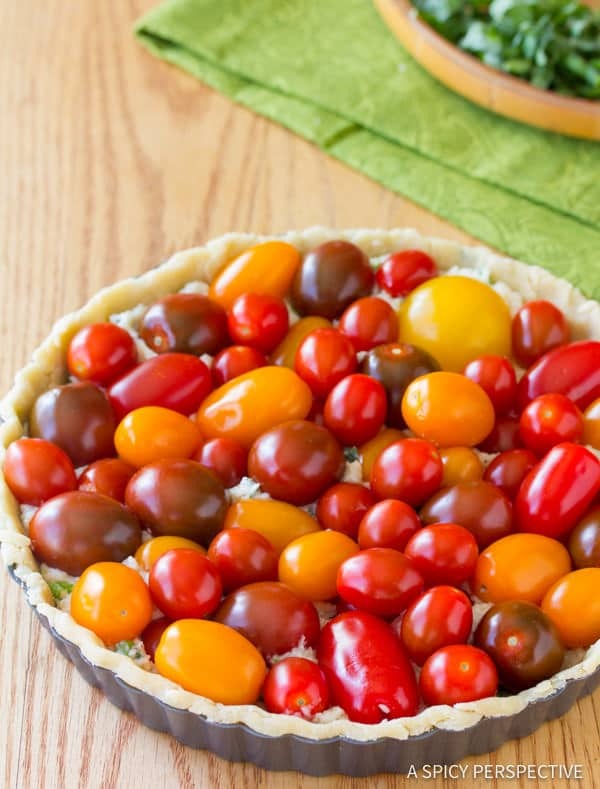 Your tart looks absolutely great, but I have one question – you put raw tomatoes on your tart – is the bottom of the tart after baking still ok (meaning, not too watery)? thanks for answering me and have a good day! Wow I am surprised about F&W just like you. I am glad you caught it though and worked out the fixes because this was on my list for NH tomato season coming up in a few months. Looks tasty! first congrats on the top 9, I think both tarts looks amazing, such a nice recipe. Will definitely try that. How can you go wrong with fresh tomatoes! What a delicious dish! I think both of your tarts look beautiful! And you know what? There ARE women out there who have never, ever worried about how they look. I'm not one of them… but my best friend is. She is inspiration for us all – even your daughter. 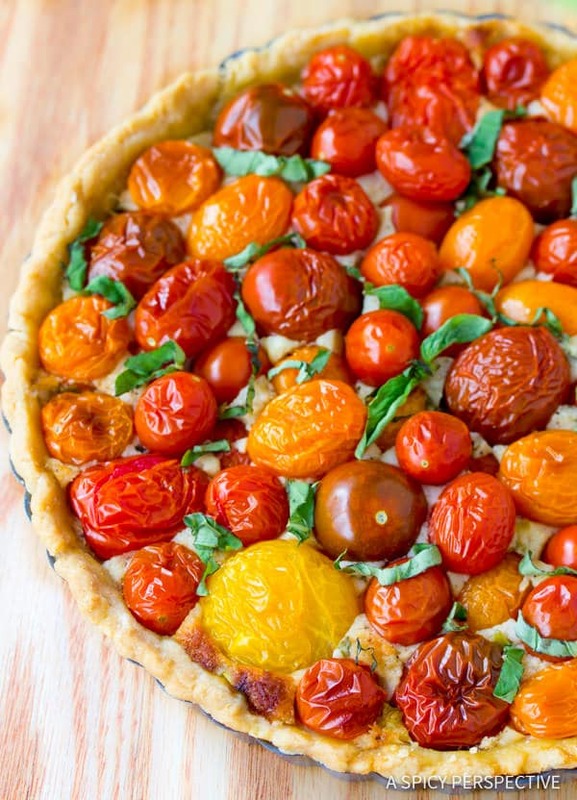 What a beautiful post and a beautiful tomato tart. Looks wondeful! 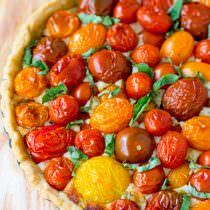 Just stunning – I'd love both of them – adore a savory tart and this would be grand when the tomatoes come in. Thanks Laura! It's any parent's greatest challenge to develop children who grow up to be confident, well-rounded, and true to themselves! I think my parents accomplished this. I'm just taking it day by day! I didn't have trouble with the dough, but I pulsed it in the food processor, instead of working it by hand as SK suggests. I wonder if that is the difference. Ah…beautiful! I love the looks of them both – but definitely vote for the tastiest. I do think people who are not drop dead gorgeous learn to develop other qualities and are generally more truly confident and diverse in their personal qualities – but feeling beautiful is also nice and i believe can come regardless of physical characteristics. If we know we are valuable and try to focus on our positive qualities, we can exude beauty and feel beautiful as well! Your daughter is lovely, regardless, so she should have the best of both sides – especially with your influence! This really looks so beautiful. Gorgeous tarts. They both look wonderful! Beautiful tarts. Nothing beats in season tomaotes. Fantastic job! I've never had a tomato pie or tart before. Both the tarts look amazing! I would love to try this. You're nuts… both tarts are gorgeous! I personally love the second one. The uniform red is so vibrant. I have the same worries about my daughter. She is a little older than yours and the outside world is already showing its influence. Thanks for sharing the tart recipe. The pictures look amazing.